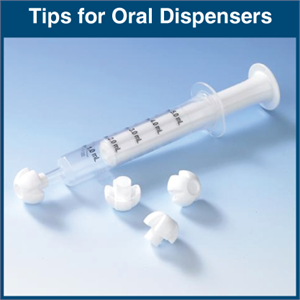 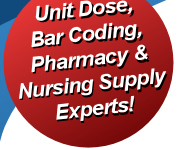 Oral Dispensers can be capped with either the included Standard Tip Caps, or with our Novel “Wagon Wheel” stand design which provides a solid base for standing dispensers on counter tops where they can be easily handled when administering medication. 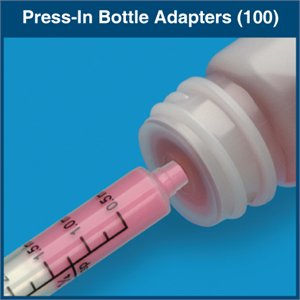 Its large design reduces the potential of pediatric choking. 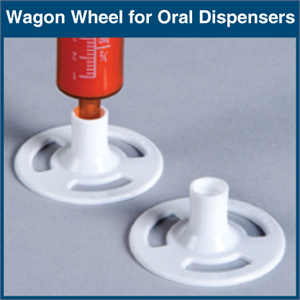 Oral Dispensers can be capped with either the included Standard Tip Caps, or with our Novel “Wagon Wheel” stand design which provides a solid base for standing dispensers on counter tops where they can be easily handled when administering medication.